Before Jules Verne and H.G. 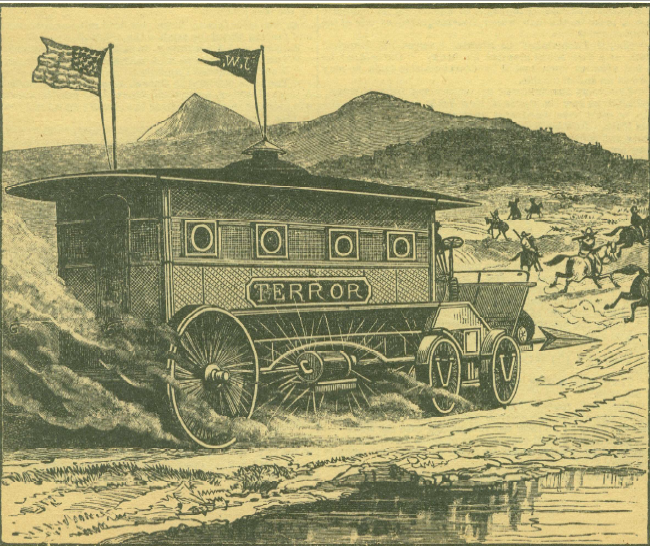 Wells came onto the literary scene with their scientific romances, another genius inventor took the stage: Frank Reade, the 19th century whiz kid who tackled the globe with his fleet of electronic-powered vehicles in a series of popular dime novels. Scholars like Jess Nevins argue that Frank Reade and other Edisonadeswere the proto-sci-fi figures that influenced the steampunk subgenre today. 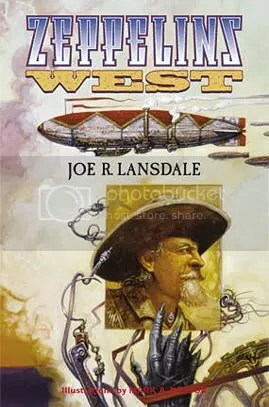 If you ever picked up a classic Frank Reade story, (there are some available online), you’ll also find that they were very much pulp stories of their place and time, filled with adventure, innovative machines, juvenile writing, and the whiff of imperialist attitudes and racist stereotypes. The premise of Frank Reade: Adventures in the Age of Invention takes these entertaining, if flawed, stories and turns them on their head for a modern audience. Authors Paul Guinan and Anina Bennett have played with history before in their previous book Boilerplate, where a fictional robot was inserted into actual history. This time around, though, Frank Reade touts itself as the “real life biography” of Reade and his family of inventor-adventurers, who were so iconic that dime novel stories (the actual pulp fictional tales) were written about their lives. This cute idea was a trend in dime novels: Buffalo Bill and Thomas Edison, for instance, got the same treatment. While the Reade family never lived, however, the feat that authors Paul Guinan and Anina Bennett accomplish is not just re-mixing fact and fiction, but writing it in a way that reveals the double-edged sword of glory during the Age of Empire and beyond. The Almirante Latorre (Chilean Navy), as the HMS Canada by the time this photo was taken. This was one of Chile's first modern battleships, built in the early 1900s. Click for source. “A Question of Reciprocity” was a serial written by Robert Duncan Milne and appeared in San Francisco Examiner, November 15-22, 1891. Milne (1844-1899) was a San Franciscan journalist and writer whose alcoholism first destroyed his substantial talent and then killed him. During his lifetime Milne was the best of the surprisingly large number of science fiction writers of end-of-the-century San Francisco. The new Chilean government, brought to power by a revolution, refuses to pay for a huge new battleship that the previous government had ordered. 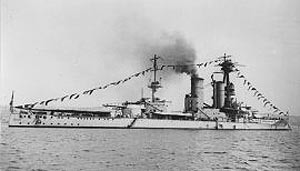 The battleship is instead purchased by a group of Chilean business magnates. They are embittered with the United States because of America’s economic and political policies with Chile, and they have decided to use the battleship to recoup some of their financial losses by holding part of the United States for ransom. Ayesha was created by H. Rider Haggard and appeared in She: A History of Adventure (in The Graphic, Oct. 1886 to January 1887, and then as a novel in 1887), Ayesha: The Return of She (1905), She and Allan (1921), and Wisdom’s Daughter(1923). 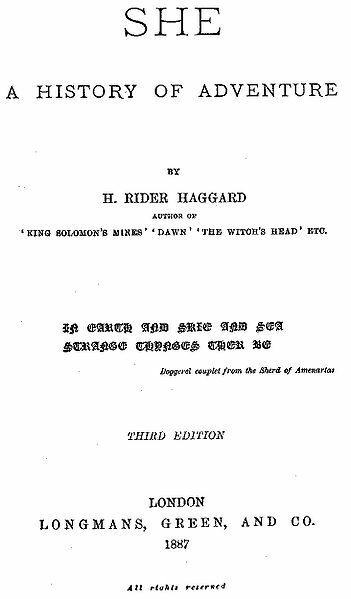 Haggard (1856-1925) was a prolific, popular, and influential novelist whose works are still read for pleasure today. She: A History of Adventure is about Ayesha, She Who Must Be Obeyed, the Queen of the Amahagger people of Africa. Centuries ago Ayesha (pronounced “ASH-sha”), then the “mighty Queen of a savage people,” met and fell in love with Kallikrates, an Egyptian priest who had fled Egypt with his love, the Princess Amenartas. Kallikrates would not leave Amenartas, however, and the enraged Ayesha kills Kallikrates. The pregnant Amenartas flees, but the heartbroken Ayesha remains, mourning Kallikrates and waiting for him to return. Amenartas meanwhile charges her descendants with avenging Kallikrates’ death. She takes place in the modern day as Cambridge Don L. Horace Holly and his adopted son Leo Vincey discover that Leo is the descendant of Amenartas. Holly does not initially believe it, but Leo does, and the pair travel to Africa, accompanied by their servant Job, to find the truth behind the story. 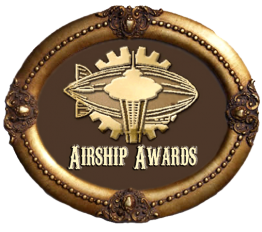 Note from Ay-leen: This is the first of a two-part essay from Noah Meernaum of the Steampunk Empire about minority representations in Weird West. Part Two of this essay will be posted next Sunday. 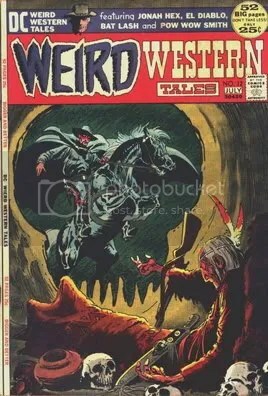 Wounded Range: A backtracking survey into the outlandishly penned or set trail of the Weird Western in American popular culture proposed to readdress its multicultural representations, taking in its past shadowed forms cast of lone two gun heroes, (or antiheroes), curious carriages, disfigured renderings, dying curses, sundered souls, vengeful spirits, and other unnatural varmints sifted from lost lore to the ragged pages of dime novels, pulps, and other two bit books. A notorious twisted trail turned inward with an outlook toward its past and present course.